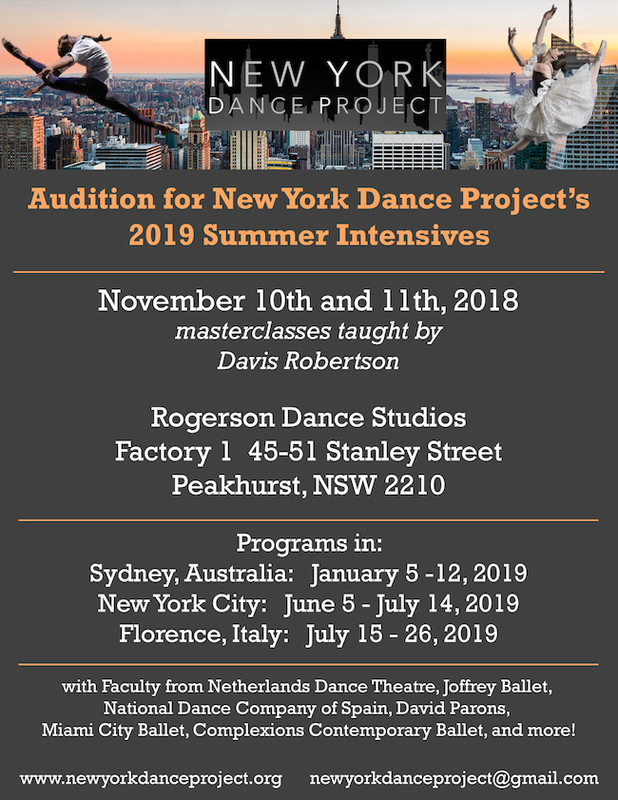 New York Dance Project, a professional and pre-professional dance company in NYC, will soon hold Masterclass Auditions in Southern Sydney for dancers wishing to learn from Co-Founder and Artistic Director Davis Robertson and to apply for entry to one of NYDP’s 2019 Summer Intensives. NYDP will offer three 2019 Summer Intensive Programs: one in Sydney, Australia from January 5-12; another in New York City from June 5-July 14; and a third in Florence, Italy from July 15-26. 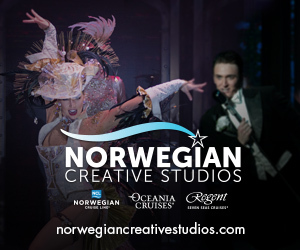 These programs will include faculty from Nederlands Dans Theater, Joffrey Ballet, the National Dance Company of Spain, Parsons Dance Company, Miami City Ballet, Complexions Contemporary Ballet and more. Specifically, the Sydney Summer Intensive Program in January will feature master teacher Africa Guzman leading ballet and contemporary classes. There will be an opportunity for a chosen dancer to come and perform in NYC with the NYDP Company. The Masterclass Auditions will be November 10 and 11. 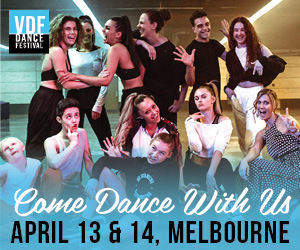 Both these and the actual intensive program will be offered at Rogerson Dance Studios, located in Factory 1 at 45-51 Stanley Street in Peakhurst, NSW. For more information, contact newyorkdanceproject@gmail.com. Keep tabs on www.newyorkdanceproject.org to see what’s up next.